Home›News›Member News›Last call for school music teachers to win £700 of music resources! Last call for school music teachers to win £700 of music resources! If you are a school music teacher, a teacher from a Music Hub or service or a peri who works in schools then you can enter a great new competition and win up to £700 worth of music resources. 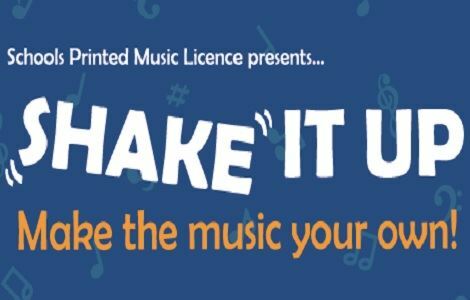 The Schools Printed Music Licence invite you to ‘Shake It Up’ and submit a unique written arrangement of any published music for the chance to win a prize for the school. Music educators are being encouraged to make the most of the Licence held by the school and enter any arrangement made for a distinct school purpose, such as a timetabled music lesson or a rehearsal of the junior orchestra; as well as a short written account of why the arrangement has been put together and the importance of putting printed music in the hands of our young musicians. The final shortlisted schools will be visited and a performance of the arrangement will be filmed for posterity before the winner is selected. As well as the first prize of £700 of music resources there will be prizes for the other finalists as well as the opportunity to meet our fantastic judging panel at a prize-giving ceremony in London on 10 May. The judges include, YolanDa Brown, premier saxophonist and composer, the first musician to win a MOBO award for ‘Best Jazz’ in two consecutive years, and recently appointed Chair of Youth Music; Chrissy Kinsella, CEO of the London Music Fund and a mentor for Arts Emergency; Alex Stevens, Editor of Music Teacher magazine; Richard King, CEO of Faber Music Ltd and Chair of PMLL; and Jane Dyball, CEO of the MPA Group of companies. The closing date has been extended to March 23 to allow for late interest following promotion at the Music & Drama Education Expo Education last month. 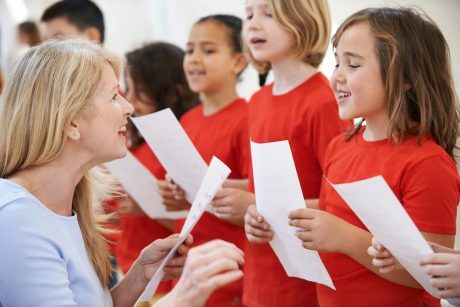 Remember, any music teacher engaged in supporting music education at a licensed school can enter, including peripatetic teachers and those based at a local Music Hub. So, if you already have an arrangement you have used with students for a school activity, why not send it in for a chance to win. Watch out! National Youth Training Choir are taking over our Instagram!